I like to go to the post-office because post is one of the things that link people living in different cities and countries. There are some counters at the post-office. At one of them you can buy envelopes, stamps, post cards. You can write a letter right there and post it or you can write it at home and then throw it into one of postboxes throughout the city. It is very convenient because you don't have to go to the post office again. At another counter you can send a telegram. To do this, you need to fill in the form, give it to the clerk and pay the sum according to the number of words in your telegram. At another counter you can send or get parcels. To send a parcel you have to bring it to the post-office, the clerk will weight it and tell you how much money you have to pay. To get a parcel, you need to show your passport, so that the post office clerk can be sure that it is really you who is to receive the parcel. At the next counter you can make a subscription to newspapers and magazines. You need to pay certain amount of money, which is stated in the catalog, and your favourite newspapers and magazines will be delivered directly to your home. At the post-office, there are also P. O. boxes. 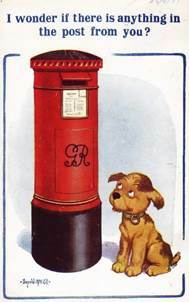 P. O. box means post office box, it is a numbered box to which someone's mail can be sent and from which they can collect it. 1. Where do we buy envelopes and stamps? 2. Do you need to go to the post-office again if you want to send a letter which you wrote at home? 3. What do you need to do to send a telegram? 4. How can you send a parcel? Magazines you can get at home? 6. What is a P. O. box? The United Kingdom of Great Britain and Northern Ireland is a constitutional monarchy. It means that the sovereign reigns but does not rule. Britain does not have a written constitution, but a set of laws. Parliament is the most important authority in Britain. Technically Parliament is made up of three parts: the Monarch, the House of Lords; and the House of Commons. In reality the House of Commons is the only one of the three which has true power. The monarch serves formally as head of state. But the monarch is expected to be politically neutral and should not make political decisions. 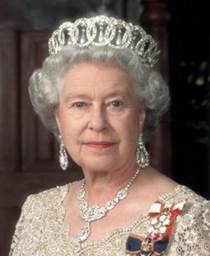 The present sovereign is Queen Elizabeth II. She was crowned in Westminster Abbey in 1953. The House of Commons consists of Members of Parliament. There are 650 of them in the House of Commons. They are elected by secret ballot. General elections are held every five years. The country is divided into 650 constituencies. All citizens, aged 18 and registered in a constituency, have the right to vote. But voting is not compulsory in Britain. Only persons convicted of corrupt and certain mentally ill patients don't take part in voting. There are few political parties in Britain thanks to the British electoral system. The main ones are: the Conservative Party, the Labour Party and the Liberal / Social Democratic Alliance. Each political party puts up one candidate for each constituency. The one who wins the most votes is elected MP for that area. The party which wins the most seats in Parliament forms the Government. Its leader becomes the Prime Minister. His first job is to choose his Cabinet. The Prime Minister usually takes policy decisions with the agreement of the Cabinet. 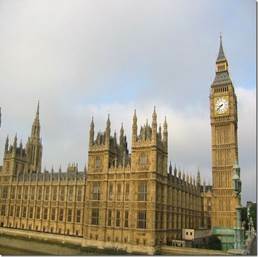 The functions of the House of Commons are legislation and scrutiny of government activities. The House of Commons is presided over by the Speaker. The Speaker is appointed by the Government. The House of Lords comprises about 1,200 peers. It is presided by the Lord Chancellor. The House of Lords has no real power. It acts rather as an advisory council. It's in the House of Commons that new bills are introduced and debated. If the majority of the members are in favour of a bill, it goes to the House of Lords to be debated. The House of Lords has the right to reject a new bill twice. But after two rejections they are obliged to accept it. And finally a bill goes to the monarch to be signed. Only then it becomes law. Parliament is responsible for British national policy. Local governments are responsible for organizing of education, police and many others. Boris: Give me 100 first-class stamps, please. B: (at registry window). I want to send this letter by registered mail. 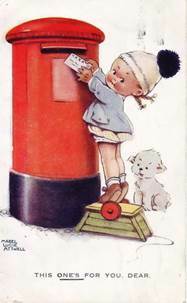 C: The addressee signs a receipt when he receives a registered letter or a package. This receipt is returned to you by airmail by the Post Office. A return receipt is your proof that the letter was delivered. Clerk: Hello, how may I help you? Alex: I'd like to send this package to California. Clerk: Would you like to send it overnight or by regular mail? Alex: How much is it to send it overnight? Alex: And by regular mail? Alex: I'd like it to get there tomorrow. Clerk: Please fill out this form. When you're finished, come back to this window. Alex: OK, I think I'm done, is this correct? Alex: I'd also like to mail this letter. Clerk: Do you need to buy stamps? Clerk: A book of stamps costs 3 dollars. So that'll be 23 dollars for everything. Alex: Oh, I forgot my wallet in the car. I'll be right back. Questions and Tasks for Discussion | Task 4. Listen to a conversation between an auditor and a COO and complete it.